The succulent trend doesn’t seem to be going anywhere, anytime soon. That’s perfectly fine by me, as I love succulents, cacti and plants of all kind. 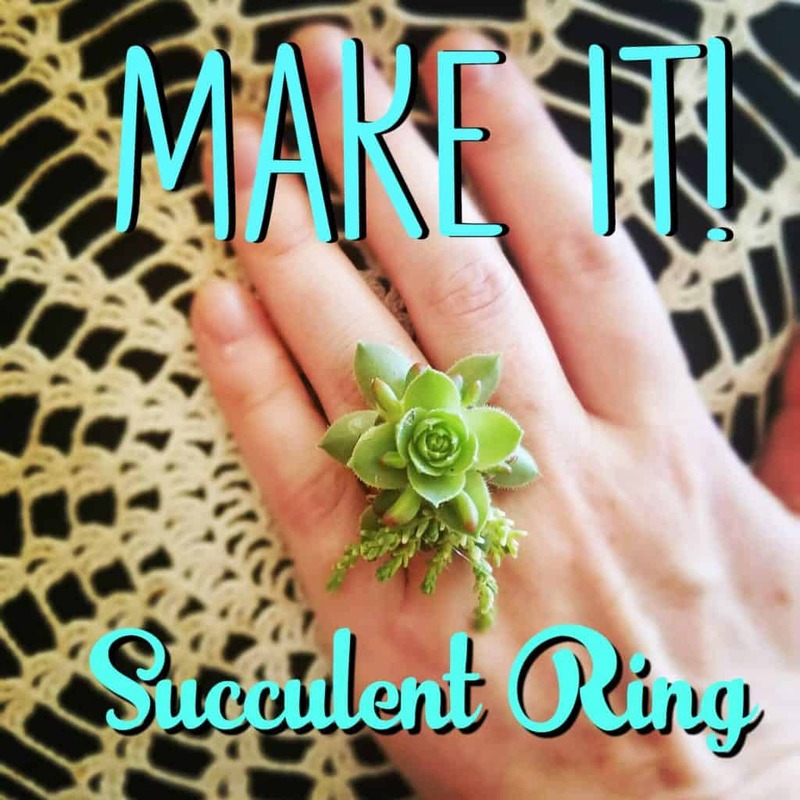 In a past tutorial, I showed you how to make a ring out of living succulents. That ring can be planted after you’re done wearing it. 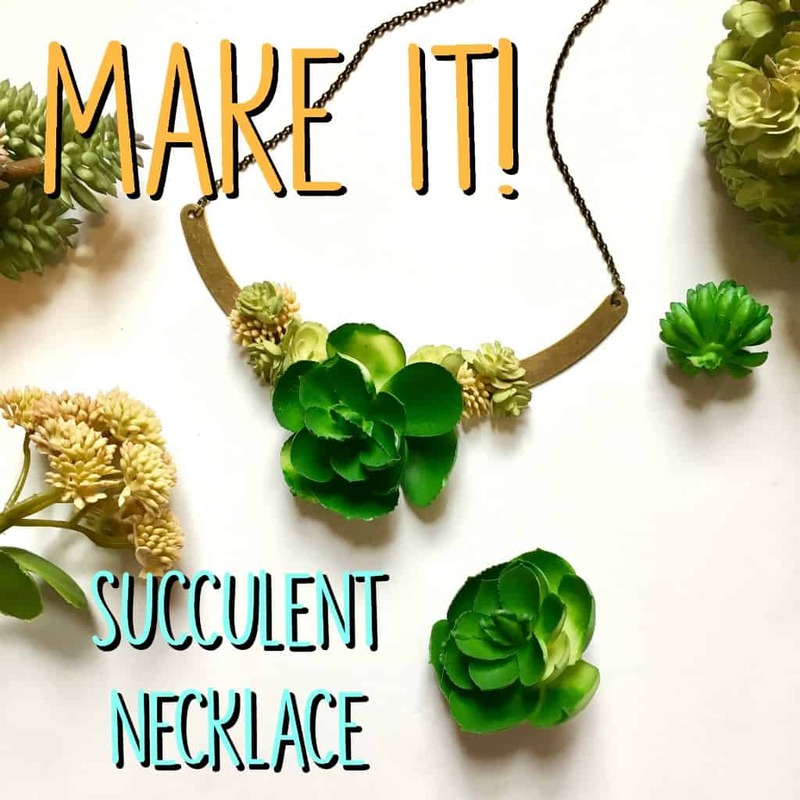 Today we are going to make another jewelry piece out of succulents, but this time, the succulents are fake! I recently found some faux succulents and air plants on sale at the craft store so I snapped them up and got to work on some new projects. I was quite surprised how realistic these fake succulents look. 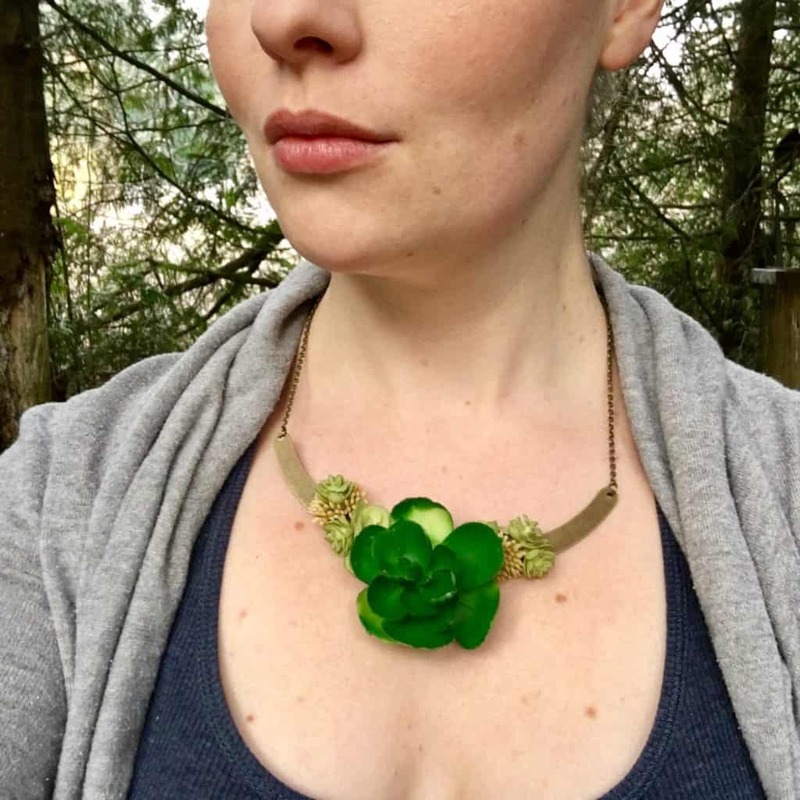 The necklace I am going to show you how to make is a great bridal accessory for you or your bridesmaids. It can be worn to other formal events or just when you are feeling a lil’ funky. 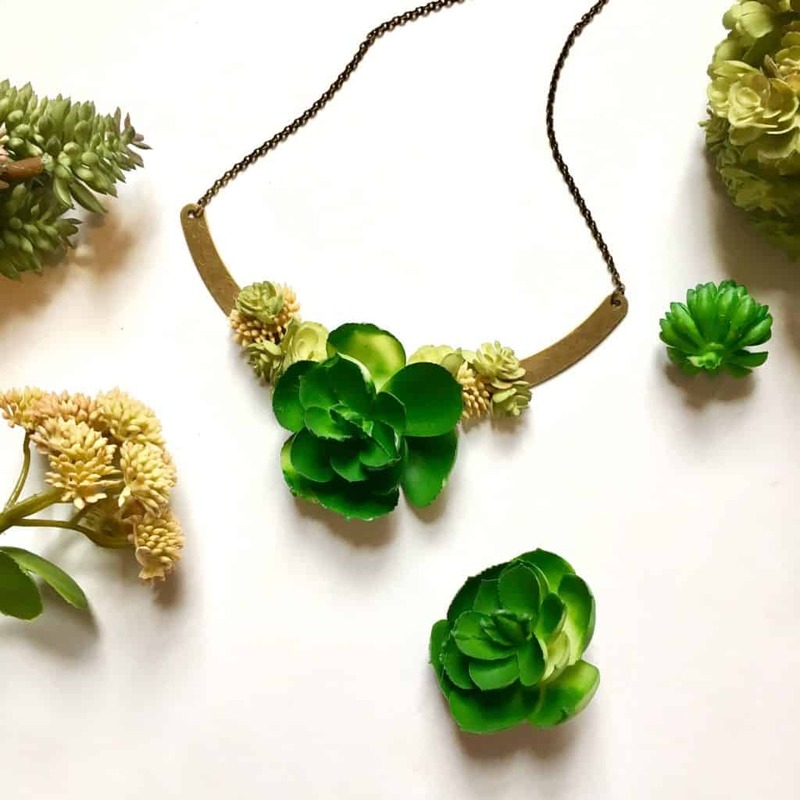 The great thing about using these fake succulents as opposed to real ones is that you can make the jewelry in advance of your special occasion. Unlike real succulents they won’t die so you can save a lot of time by making them ahead of time. 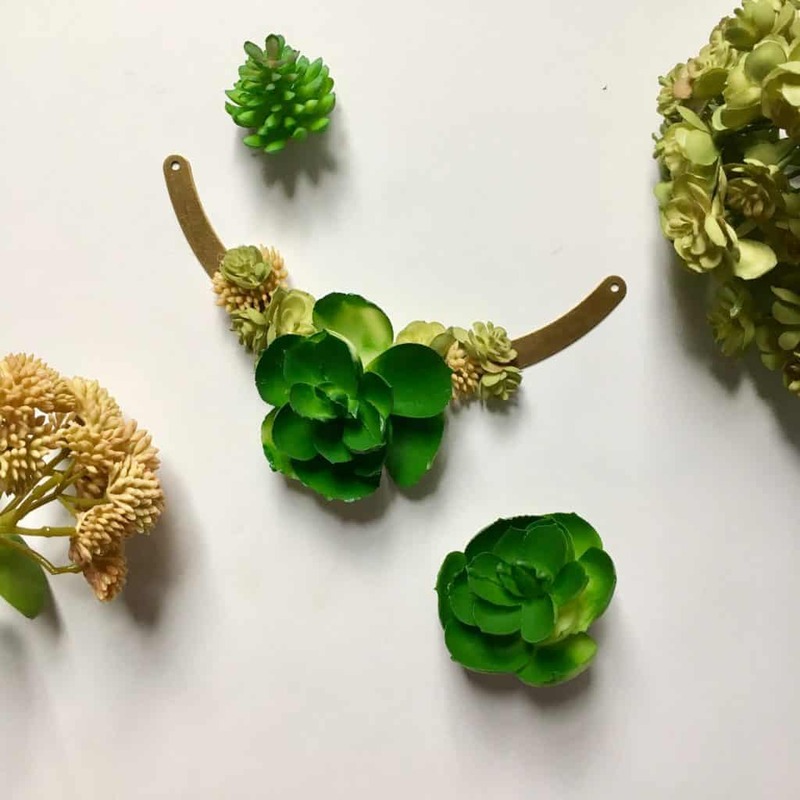 Trim the bottoms off the faux succulents and arrange them on the necklace base how you would like them to lay. Work on a surface that you don’t mind getting a little bit of glue on, like a paper plate. Also, make sure you are working in a ventilated area. This glue is really stinky. 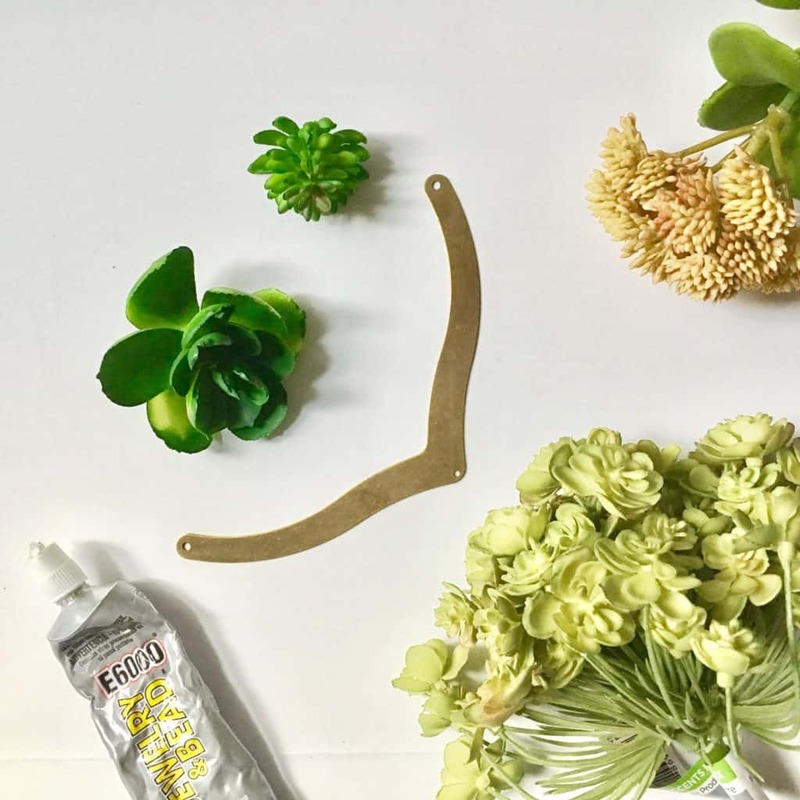 Dab a small amount of glue to the bottom of the succulent and place it on the necklace base. After the glue is completely dry, attach the chain and jump rings to the ring base using round nose jewelry pliers. Attach the clasp to the chain. Put your necklace on and admire your gorgeous self. 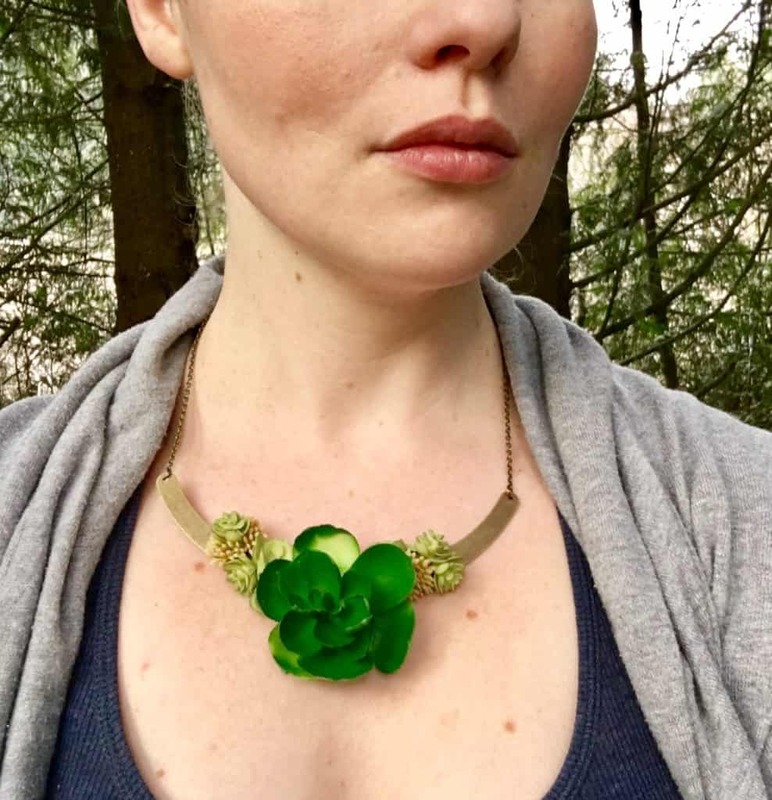 What occasion would you wear this succulent necklace? Let me know in the comments and if you liked this tutorial, please share on Pinterest.